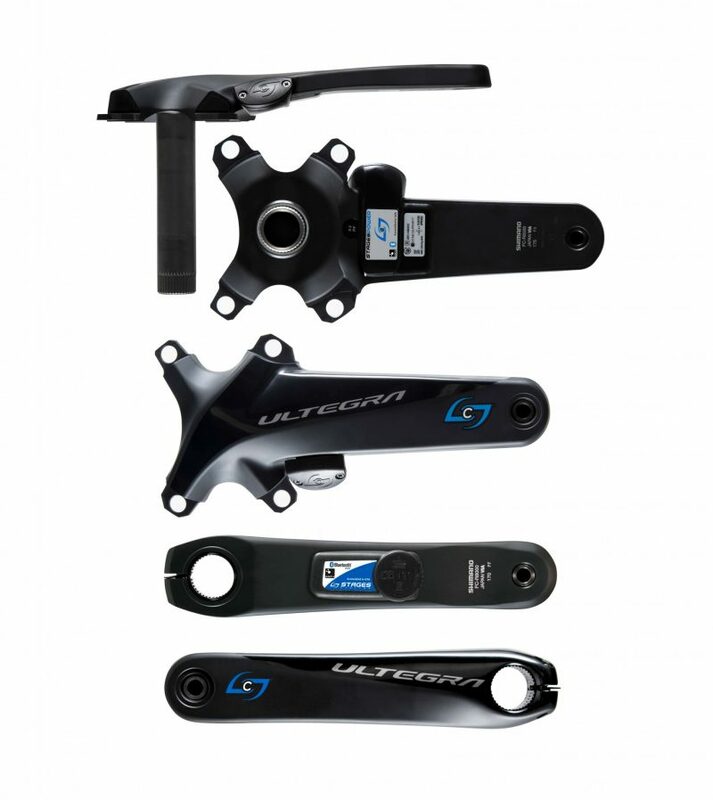 The Stages Shimano Ultegra R8000 Dual-Sided Crankset features Stages proven performance and dependability on a Shimano Ultegra R8000 crank. This unit is accurate to within 1.0% and like all Stages power meters, features dual ANT+ and Bluetooth SMART compatibility and runs off of easy to replace CR2032 batteries. In addition, the Stages R8000 Dual-Sided Power Meter is extremely lightweight, adding only 35 grams to the crankset. However the key feature on this power meter is its ability to measure left/right power. With a power sensor on both crank arms, the power meter can measure the force generated by each leg individually and transmit this data in real-time to your bicycle computer. This left/right power measurement is all new to Stages power meters and further makes the Stages R8000 Power Meter a valuable training tool! 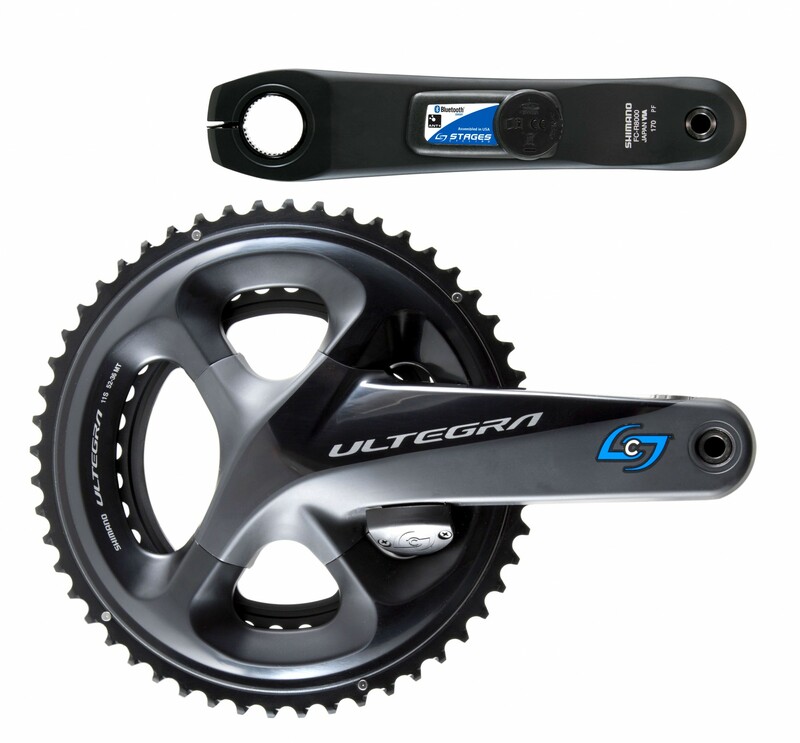 The Stages R8000 Dual-Sided Crankset is compatible with all Shimano Hollowtech II road cranks. Hi Ivan. Thanks for the review. We’re glad to hear you’re enjoying your Stages R8000 crankset and good luck with the training! I bought this for rehabilitation purposes as I felt I was not using my injured left leg after a knee operation. 12 months in and 3000km later it has been perfect. Will probably get the DA one for my other bike as well as it provides all data required. My Garmin gives me immediate & accurate left / right Watts with each pedal stroke and I have consciously gone from 60/40 to a close 50/50 output helping me with my “lazy “ leg. Service was good and delivery to Thailand prompt. Hi Jim. Thanks for the review. Sounds like you’re crushing it with your Stages – nice! We’d be happy to help you with the DA 9100 – just let us know! This is my second Stages Shimano Ultegra R8000 Dual-Sided Crankset from Power Meter City. I have one more bike remaining that needs a power meter, which will probably be the DuraAce L/R crankset from Stages. I can now return to using my Speedplay pedals after two years of using power meter pedals. And these power meter cranksets work just as well as the pedals did. Easy to install and pair and the connection is solid. Hi Steve. Thanks for the review and for being a great customer. I’m glad the Stages Shimano cranksets are working out for you. We are here if we can help you with anything else! These guys are the best! I’ve placed a couple orders with them now and the product works flawlessly. Accurate. Easy to install and use. The only thing better is their customer service. Thanks for the review and for being a great customer. These Stages cranksets are fantastic and we’re glad it’s working out for you!